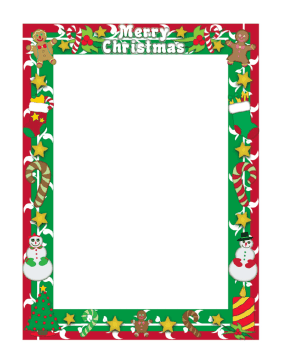 This Christmas border includes festive holiday items, including a gingerbread man, Christmas stocking, candy cane, snowman, and a brightly lit Christmas tree. It is green, red, white, yellow, and brown. Perfect for holiday flyers and letters.